I just downloaded RM 5 RC (aka 125.39) but there is an annoying thing with inspection warns and Rspec. be_valid matcher is no longer recognized. so, is it possible to remove inspections from Rspec files? 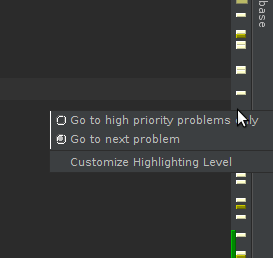 I just discovered (shame on me) that it can be easilymodified with a right click on the vertical scroll bar -> "Customize highlighting level"